The September sale of BC Petroleum and Natural Gas Rights realized 577 thousand dollars, bringing the eight month total in 2015 to almost $9.5 million. In the year before Christy Clark became Premier, the total for the same months was almost $782 million. During January to August of 2008, rights sales brought in $2.3 billion, an amount 250 times the value of the current year. When Christy Clark became leader of the BC Liberal Party, a key supporter and member of her transition team was Gwyn Morgan, a person with boardroom ties to two of the Liberals' favourite corporations: Encana and SNC-Lavalin. At the time, Morgan was also a director of HSBC, another ethically challenged operation. We can't know what advice Gwyn Morgan gives to Christy Clark but we can see benefits the Premier provides to cronies in the natural gas business. 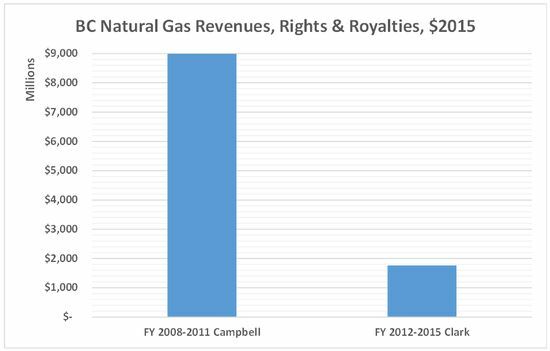 The chart below displays provincial gas revenues from royalties and rights sales in the four years before and the four years after Clark took control of the BC Liberal Party. Of course, these numbers are incomplete without productions statistics, which are provided by B.C. Oil and Gas Statistics, downloaded July 20. In BC,politicians are easy to buy off, they sell themselves very cheaply. NDP, BC Liberal, it is all the same; Politicians are cheap today, cheaper than yesterday! The attempt at casual pithiness is a common among all of us; in this case, Cons have cleverly employed it, and in a race as tight as they'd have us believe ("to close to call" being a similar ploy), such banality probably works. Then it's copied by other neo-right parties and Fraser Institute alumni. It should also be noted that Gwyn Morgan has personally donated $169,010 to the BC Liberals since 2011 when he supported Christy Clark’s leadership campaign with a $10,000 donation. Three times since he’s personally pumped in $50,000 at a crack. One wonders why he would personally support Christy Clark when she ran for the BC Liberal leadership when not one of the BC Caucus members except the hapless Harry Bloy supported her, and then was waiting in her office as her advisor when she arrived. Did he have any inkling of the shenanigans that would transpire to ensure her leadership win? It would take an extremely incurious mind not to wonder if it has anything at all to do with the graphs above. A mind like Vaughn Palmer’s for instance. One look at the column he wrote on Mike de Jong’s presentation of BC’s public accounts last week provides the answer. The complete lack of any analysis of the numbers, like those Norm continues to provide here and on his Twitter feed confirms it. Most donors do it only for the money to be made. That is who the BC liberals and Fed Con work for. Gwyn Morgan also sent $1,000,000 to the Fraser Institute. Nice mug shots... Patronage,Corruption and Cronysim. These three amigos are known associates of the scandal plagued Malaysian government and the oily Petronas Gang, currently squeezing BC for a 'sweet' one sided generational LNG deal. Like the BC Liberals and family, you are known for the company you keep and the deals you do. For forging this deal, Christy and company should be the ones 'locked up in stone' for 25+ years (with no opt-outs). So much for the Liberals sage business acumen locking in such a giveaway. BC citizens present and future would be cleaner, safer and richer if this sparkle-pony was just scrubbed out. It seems the Deputy Premier believes some socialists are more worthy of attention and rewards than others. I suspect he abhors the ones that work democratically with full public scrutiny and prefers the ones with a long history of participating in graft and corruption. Interesting subject, in light of the fact that pure socialism, like pure capitalism both "degenerate" into a form of "totalitarianism", simply because of corruption, power and greed, over time. Perhaps if the above "minister", understood that what his party, his government, and supporters have become, he may realize that he has become "his own enemy"
I'm not holding my breathe, for that bit of "enlightenment" to occur. Sadly, like his "socialist basher buddy" Jim Shepard, they really have no idea of what they are talking about. ideal" called elitism. The party elite, the backroom manipulators,(Morgan et al), the "sacred" few, control a government completely. If that is not a mirror image, of what Totalitarian (Communist) Russia or China for that matter, is, I don't know what he think's he is talking about. Its almost counter productive to come here and read your articles now. Damning reports and charts that show exactly how the Neo-Liberal party of BC is pillaging the coffers of our once fine province. Yet not once have i seen this devastating reality reported on any of our "news" stations or daily rags. These are the governments own figures why are they not reported by anyone else? The reason we have MSP premiums , constant BC Hydro and ICBC increases and plebesites trying to gleen the last nickel out of our empty pockets is because the Neo-Liberal party has opened the floodgates of funds to their corporate backers. So to all the stupid ....stupid supporters of these thieves and liars its never been the unions that rob us blind its always been business.This government will destroy our province before they are through. Best comedic political ad ever. From the Mound of Sound. What surprises me is how cheaply these politicians can be bought. "What surprises me is how cheaply these politicians can be bought." Consider that the "surprise" you register is actually a warning; like the heat thrown by a fire, the tip of an iceberg, or that lone roach scurrying accross the kitchen floor when the switch is flipped. Warning/harbinger/hint. Consider that hypothesis and its implied possibilities (numbered accounts, nominee accounts, seemingly unrelated capital investments to corporations or foundations where a Liberal is either a direct or indirect beneficiary, handshake commitments for future overpaid employment, etc.). Then re-consider your belief that modern politicians would sell out cheaply. I suggest they sell out for a lot more than is ever known or inferred by the types of figures that Mr. Farrell has so deftly exposed and put into context. In our current environment, despite the headlines about crackdowns on secret overseas banking, etc., there are more places and ways to hide money that ever in history. Ironically, there are more ways to track transactions of every size and form than ever in history. The ginormous gap that exists between those two realities and keeping them from obliterating each other is made up of every human frailty that exists --- from greed and fear all the way to stupidity and willful ignorance. In the Iron Age, this is not reversible, even by an army of earnest, well-meaning, courageous, Sysyphean heroes. But I think a lot of us here truly have no choice but to try, anyway. Cheaply Glen? They have us in the poor house now, and yet they continue to nickel and dime us with wheel chair maintenance, MSP premiums, camp ground fees, not to mention self congratulating Site C commercials, LNG blather ad infinitum. No, the 'politicians' come at a very high price and their rewards are incalculable. On the Take detailed years ago the cheap price of politicians, the profit margin on a dollar is even more now. And you notice the 'great' Mulroo never sued Stevie Cameron for what she wrote in her book. And yet, the people of Canada paid Mulroo how many million dollars because we 'slandered' him on the Karl Heinz Schreiber payoff? And what happened to the RCMP to went public early enough the Mulroo could get his ducks in a row and sue us? Did he continue on in a less high profile role and retire with full pension? We shall never know. And the main stream media could care less! Now we have Bill Good returning to give "hard-hitting" analysis of BC politics to 'WX. GOOD NEWS for Krusty and her kleptos. Groundhog Day, here we come! 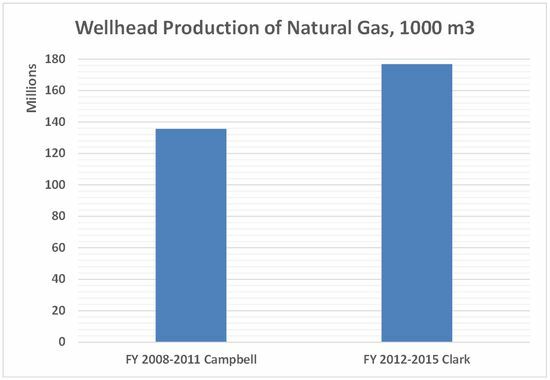 For the second time since being elected on prosperity from Natural Gas Clark hands over another 100 million plus in industry subsidies. The Province has approved $115 million in royalty deductions to support the construction of 14 infrastructure projects in northeastern B.C. The B.C. Infrastructure Royalty Credit Program (IRCP), was designed to facilitate the construction of new resource roads and pipelines. According to the Province royalty revenue for government will also increase as a result of new drilling activities. The Province believes that five years from now, the 2015 royalty deductions could generate approximately $288 million in revenue for the Province. capital spending by industry. Of this total, over $224 million are expected to reach service-sector companies in B.C., creating more than 2,100 new jobs. Black Swan Energy, Chinook Energy, Chevron Canada, Canadian Natural Resources, Cutbank Ridge Partnership, Endurance Energy, Kanata Energy, Progress Energy Canada, Storm Resources, Tourmaline Oil, UGR Blair Creek and Woodside Energy. In case people don't know, the Murray Edwards sitting on top of the list of supporters is the same Murray Edwards that brought us Imperial Metals and the Mount Polley mine disaster. He's also a major beneficiary of the billion dollar Northwest Transmission Line, which provides power to his Red Chris mine. With returns on investment he gets in BC, it's no wonder he's a billionaire. 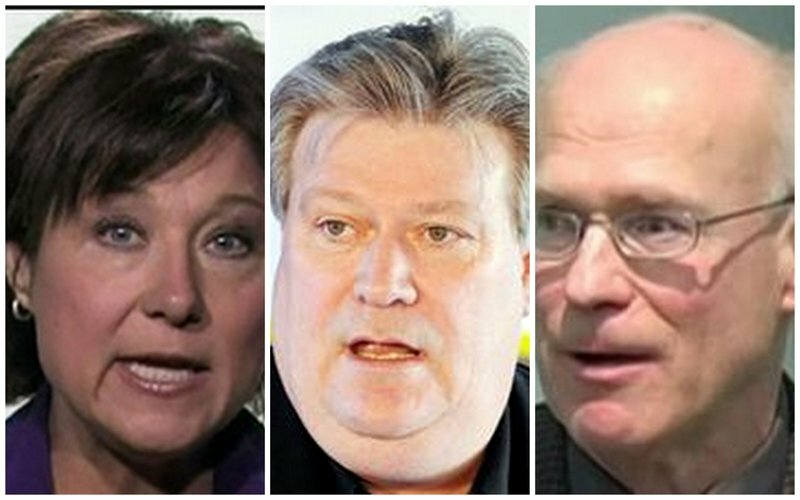 What is the period for the donations to the BC Liberal Party by the Gas industry players? The database reported by Elections BC includes 2005-2014 but the amounts I show would not include all natural gas related contributions. With numbered companies, private individuals and other proxies, more money would be flowing to the Liberals. I plan to update the list as I connect more gas related donors. I also am developing lists of mining and forestry companies. The lists for those industries combined now exceeds $12 million and I'm nowhere near finished the review. I cannot help but wonder if any sort of sideways action is involved in the BC LNG sale to Petronas? Good to see you back Norm , Even with the always frustrating news. And I second that! I have truly missed you, Norm. But glad to see you took a well deserved break to enjoy our wonderful province (while it still exists).